Auflage 2001. Book. Sprache: Englisch. 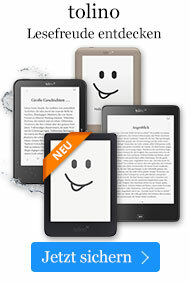 Buch € 45,99* inkl. MwSt. Aimed at final year undergraduate students, this is the first volume to publish in a new series of text covering core subjects in operational research in an accessible student-friendly format. This volume presents simulation paired with inventory control. The Operational Research Series aims to provide a new generation of European-originated texts of practical relevance to todays student. To guarantee accessibility, the texts are concise and have a non-mathematical orientation. These texts will provide students with the grounding in operational research theory they need to become the innovators of tomorrow. BOOK 1: LINEAR PROGRAMMING.- Introduction.- Linear Programming: an Introduction.- The Simplex Method.- Linear Programming and Computer Software.- Linear Programming in the Real World.- Linear Programming: Where Next?.- Exercises.- Bibliography.- BOOK 2: CRITICAL PATH ANALYSIS.- Introduction.- Critical Path Analysis Techniques.- Critical Path Network Software.- Practical Application.- A Survey of Critical Path Methods Literature.- Current Issues in Critical Path Network Analysis.- Questions.- References. MIK WISNIEWSKI is a Management Training & Development consultant. DR JONATHAN H. KLEIN is a Senior Lecturer in Management Science at Southampton University.